Sounders captian Osvaldo Alonso may have played his final game for the only MLS team he's ever known. The Sounders did not reach agreement on a new contract with Alonso, who now enters free agency after nine years here. Sounders midfielder and team captain Osvaldo Alonso has spent his entire Major League Soccer career in Seattle, but is unlikely to finish it here after the team opted Monday to let him test free agency. Alonso’s contract has expired. The team also declined to pick up an option on forward Lamar Neagle of Federal Way, throwing both MLS veterans — the last two original players from the team’s 2009 expansion season — into the free agency pool. Every other Sounders regular from the past season, which ended less than two weeks ago in a second-round elimination by the Portland Timbers, had their options picked up, or already had contracts extended by the team over the summer. The team has a news conference scheduled for Tuesday to discuss the moves. The departure of Alonso, who turned 33 last week, loomed throughout a season in which he was injured early and often but worked his way back into a midseason starting role. The franchise leader in games played at 277 and minutes at 23,380 this year appeared to regain his past form at times, reviving memories of the “honey badger” approach to slowing down opposing forwards before injuries took a toll in the run up to the team’s 2016 MLS Cup championship victory over Toronto. His efforts led to him becoming a finalist for MLS Comeback Player of the Year honor. Still, the emergence of Gustav Svensson as a key veteran presence in the defensive midfield made Alonso expendable as a starter. The Sounders had cleared room for Alonso to start down the stretch by bumping Cristian Roldan up to right wing, but the team feels his best spot is alongside Svensson in the defensive midfield and there are already a number of talented attacking players who will be fighting for playing time next year. The Sounders hung onto oft-injured Victor Rodrgiuez, whose performance down the stretch gave them Designated Player level talent for a bargain Targeted Allocated Money price tag. They also kept winger Harry Shipp and will have forward Jordan Morris returning from injury on a team that already includes Raul Ruidiaz and Will Bruin up top. It’s possible the team deploys a two-forward formation to work Morris in alongside Ruidiaz. Or, Morris could again be split out wide as a winger as he was in 2016 and 2017 before his season-ending knee injury last February in CONCACAF Champions League play. Either way, barring an injury to somebody else, it appears Roldan’s days as a full-time right wing are over for now and that his pairing alongside Svensson will be permanent. That leaves the possibility of Alonso returning in a reduced role off the bench if he can’t find a better starting possibility elsewhere. 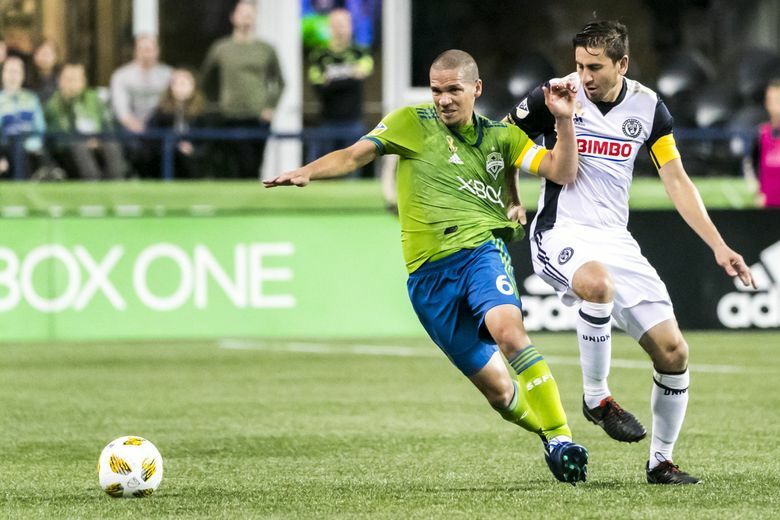 Still, after nine seasons with the Rave Green, contributing to some of the team’s biggest moments in the 2016 playoff run and prior U.S. Open Cup victories, Alonso might not be keen on easing gracefully into retirement. He took it personally when the team left him unprotected in the MLS Expansion Draft last year and used it as a motivator to get back on the field healthy this year, logging three assists in 21 starts.